OKLAHOMA CITY (August 24, 2016) – The Oklahoma State Department of Education (OSDE) has announced four state-level finalists for the Presidential Awards for Excellence in Mathematics and Science Teaching (PAEMST) at the elementary level. PAEMST, established in 1983, is the highest recognition a K-12 mathematics or science teacher may receive for outstanding teaching in the United States. Awards alternate each year between elementary and secondary teachers. This year’s finalists include: Lucianna Copelin, Shawnee; Jennifer Duvall, Broken Arrow; Macey Morgan, Norman and Michelle Rahn, Claremore. The finalists were chosen by a local selection committee consisting of teachers, district level personnel, representatives from higher education and past awardees. Each finalist demonstrated a mastery of math and science instruction appropriate for the grade level taught and effective use of student assessments to improve student learning. OSDE has submitted the finalists’ applications for consideration for the national PAEMST awards. Lucianna Copelin teaches fifth grade at North Rock Creek School in Shawnee. Copelin urges her students to get involved in the learning process through active participation in hands-on activities, problem solving, art and technology. She hopes to spark an interest in science among her students and mold them into lifelong learners. 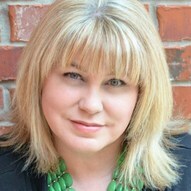 Copelin received the Professional Oklahoma Educators Elementary Educators Merit Award in 2015 and is a member of the Oklahoma Baptist University Education Advisory Council. She has been teaching for eight years. 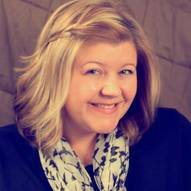 Jennifer Duvall teaches fifth grade for Broken Arrow Public Schools. As early as grade school, Duvall knew she wanted to become a teacher. Throughout her 13 years of teaching fifth and sixth grade, her passion for educating young people has only grown. She uses her platform as an educator to foster student enthusiasm for math and considers shaping her students’ futures a privilege. 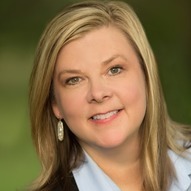 Duvall earned her middle level/intermediate math certificate in 2013, has served as an officer for the Broken Arrow chapter of Professional Oklahoma Educators and been a member of numerous committees to align, pace and analyze math teaching standards for Broken Arrow Public Schools. 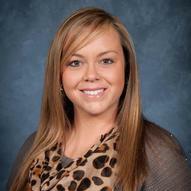 Macey Morgan teaches second grade at Washington Elementary in Norman Public Schools. Morgan’s teaching philosophy includes building a solid academic foundation for her students, providing the education they deserve regardless of their background and making a difference in the world while raising a better generation for tomorrow. Morgan is a model math teacher in her district and takes the time to train others in effective teaching practices. She has been teaching for 10 years. Michelle Rahn teaches sixth-grade science at Will Rogers Junior High in Claremore. In the classroom, Rahn utilizes inquiry-based lessons where students’ curiosity leads to the investigation of their natural world. In 2015, Michelle received a Fund for Teachers Fellowship, where she created her own course of professional development related to science instruction. She was also selected to attend the Mickelson Exxon-Mobil Teacher Academy, where she received training in the interrelationships between scientific inquiry and mathematical problem solving. Rahn has been teaching in Claremore Public Schools for nine years. Photos of the state-level finalists for the PAEMST are available upon request.